KiTZ director Stefan Pfister, professor of pediatric neurooncology at the German Cancer Research Center (DKFZ) and the Heidelberg University Hospital, succeeded in gaining one of the prestigious ERC Consolidator Grants for his project entitled "BRAIN-MATCH". The goal of BRAIN-MATCH is to characterize normal brain development using molecular-biological methods and to compare it with the development of brain cancer. Pfister and his team plan to use the results obtained as a basis for finding new approaches in the treatment of brain cancer in children. The European Research Council (ERC) awards "Consolidator Grants" to support excellent scientists who are expanding their research activities. 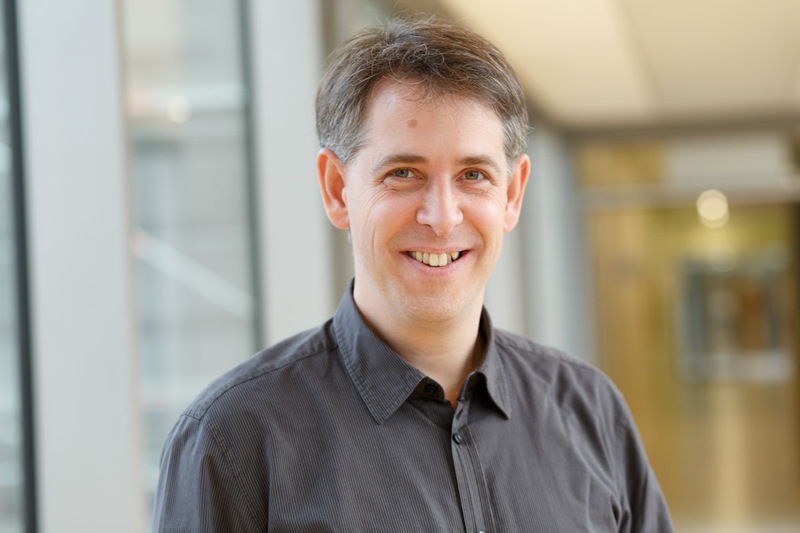 KiTZ director Stefan Pfister has received an ERC Consolidator Grant. "I am very pleased about the ERC Consolidator Grant, which is a high distinction for our research," said Pfister. "We will use the funds to expand our activities in investigating normal brain development and identifying parallels with the development of pediatric brain tumors. We will use the findings we obtain for the systematic search for new therapy approaches." Although childhood cancer is generally considered to be well treatable, there are still some subtypes of cancer of the central nervous system that fail to respond or respond with difficulty to therapy – despite all medical progress made over the past decades. Pfister and his team will use the ERC grant to study more than 30,000 tissue samples from over 100 different types of brain tumor using the most advanced analysis and IT methods. In this study, the scientists will take account of molecular differences between tumor types and also of various stages of carcinogenesis. In order to better comprehend the biological causes of tumor development, the researchers plan to make comprehensive comparisons between healthy brain tissue and tumor tissue. From the differences found they will draw conclusions about the causes of tumor development in order to find clues towards new treatment approaches. Childhood cancer types are often fundamentally different from adult cancer types which may look similar or the same under the microscope. Findings from cancer research concerning adults can therefore not be transferred unmodified to pediatric oncology. "It is crucial that we further advance pediatric cancer research in order to gain a better understanding of the biology of pediatric tumor types," Pfister explained. "Our goal is to be also able to help those approximately 20 percent of children with cancer for whom there is no suitable treatment method so far." He added: "The support of our project BRAIN-MATCH by the ERC is an important contribution towards this goal." The project is scheduled for a period of five years and will receive ERC Grant funds of € 2 million. In 2018, the European Research Council awarded 291 Consolidator Grants with a total budget volume of € 573 million, as part of the Horizon 2020 project. Twenty-five of the grants went to German scientists.